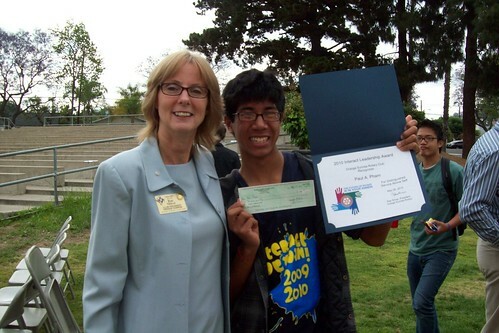 Senior Paul Pham received the $1,000 El Modena Interact Leadership Award at the school assembly on May 26, 2010. Paul served as the President of the Interact club during the 2009-10 school year, increasing membership and leading the club’s many service projects. Paul plans to use the scholarship for his studies at Cal State Fullerton.